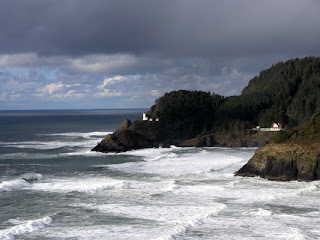 So the next couple of blogs will be posting images from the time that Bill and I have been here on the Oregon coast. Most of these will be from stuff we did back in February and March. 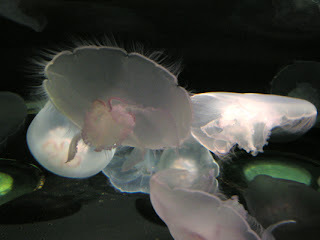 The images I’m going to post in this one are from a trip we took to the Oregon Coast Aquarium in February. 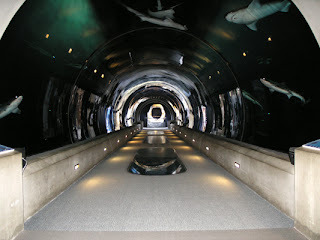 The Oregon Coast Aquarium in Newport, OR is a pretty cool place. It’s of course geared towards kids, but being an overgrown five-year-old myself, I fit right in. I found it humorous that the volunteers at the touch tank kept talking to me like they did the kids and trying to get me to touch the starfish and the sea urchins. My opinion is that it’s cruel to allow these wild creatures to be poked and prodded, so I kept my hands to myself and just enjoyed the displays. 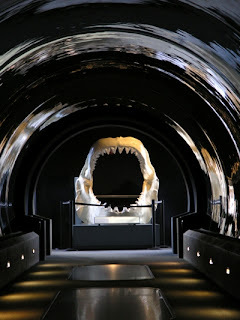 The tunnels you can walk through were cool, but not nearly as cool as I was hoping for. I don’t know what I was expecting, but it wasn’t nearly as awesome as I thought it would be. I think I was expecting them to be more colorful or something, but since they feature the wildlife that lives on the west coast, most of the fish are rock and sand colored. I thought they’d have displays from other parts of the world, but they really try to stick to what is native to the area. Cool in it’s own right, but it would also be cool to see things from other places. 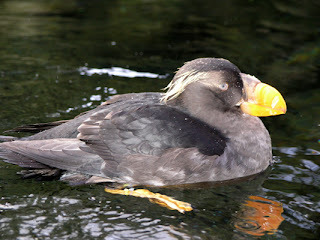 My favorite guys at the aquarium were by far the Otter, and the birds. This guys was just too cute, he kept swimming laps. He would dive, roll, swim, come up and scrub his face, repeat process. 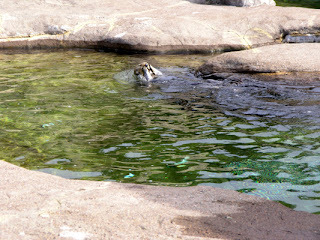 I can’t remember his name, but he’s the oldest of the otter’s that they have. 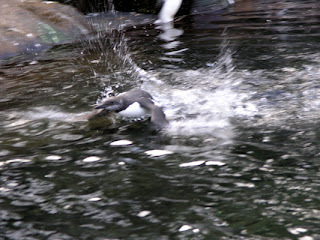 The birds were also a riot. 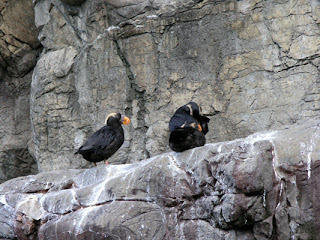 They had a variety of birds in their display, but the tufted puffins were cool to see, you don’t always get to see them up close and personal when they are on the Oregon Coast for breeding. 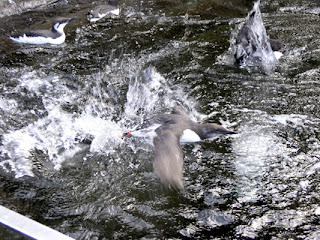 These other guys, the common murre, were too cute as well. They would fly through the water like hydroplanes, they were a blast to watch, and so fast! I was amazed that Bill was able to catch these images of them; they were so fast it was hard to keep up just watching them, let alone trying to take pictures of them. And of course, to wrap it up, no drive along the coast is complete for us without taking pictures of at least one lighthouse. These are lighthouses that we’ve photographed and posted before, but the coast has so many moods that they never look quite the same. 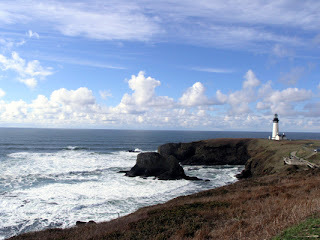 These are Yaquina Head Lighthouse and of course another of the Heceta Head Lighthouse. Heceta Head Lighthouse is the most photographed lighthouse in the world. So there ends part 1 of my posting miscellaneous pictures we’ve taken while we’ve been on the Oregon Coast.